Some days you just crave a good, juicy burger. You may like it loaded with all the fixin’s or a plain Jane type. The Chateau: try the Chateau burger, a local favorite. 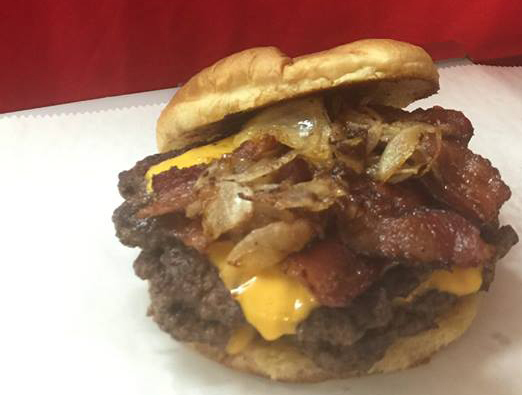 This specialty comes with American and Swiss cheese plus bacon. New Boston Tavern: bring your appetite and order the ½ Pounder Angus Beef Burger. You won’t be disappointed. 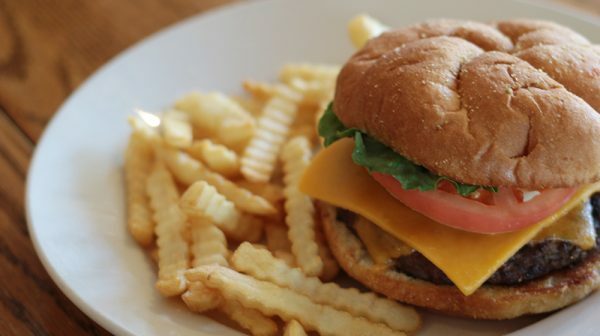 St. Nick’s Restaurant: this half-pound ground chuck patty is served on a grilled corn-dusted Kaiser bun. The Rustic: grab a burger here and pair it with homemade potato chips. Don’t forget to order the dipping sauce! Fat Daddy’s Grill & Chill: order the “Porky Pig” and you’ll get a burger with cheese, bacon, and their special smoked BBQ pork plus BBQ sauce and any other condiment to top it off. Find a list of all local restaurants, with locations and menus, here.